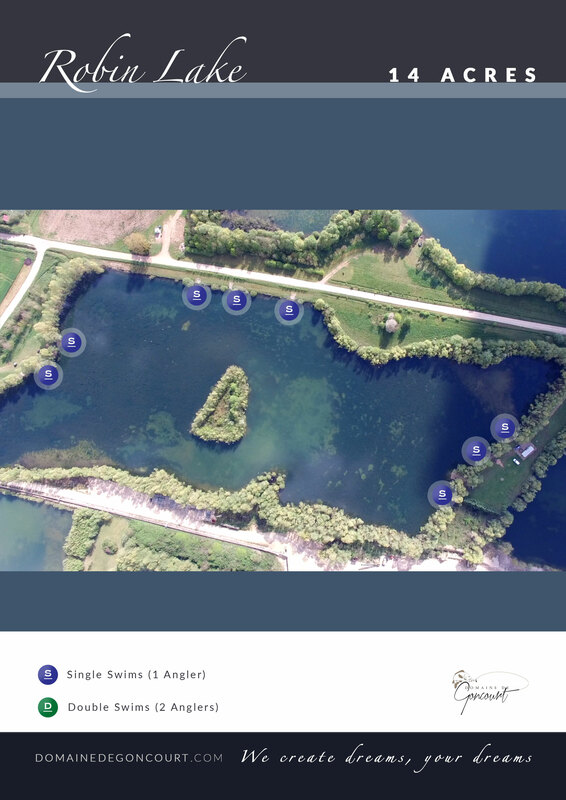 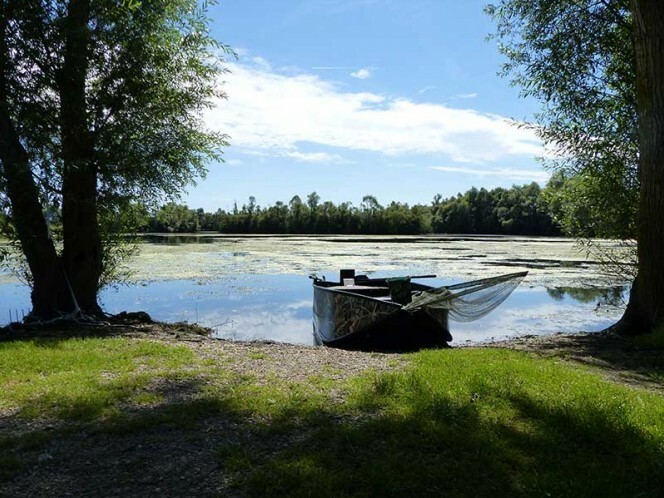 Robin Lake at 14 acres offers the anglers fishing here a complete Goncourt experience in terms of the strains of fish stocked in its water. 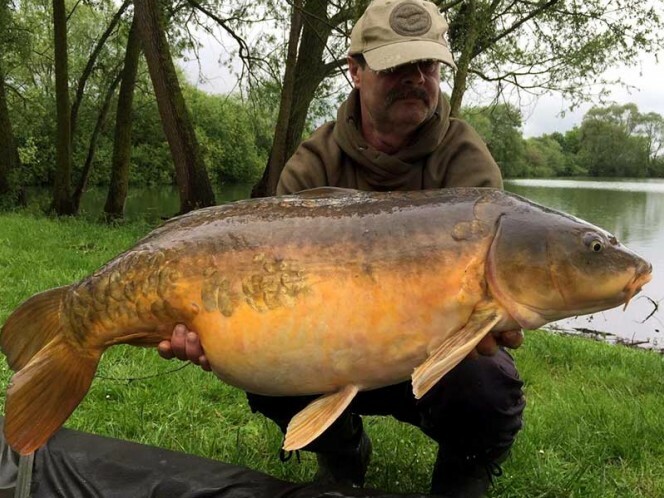 It has traditional looking French mirrors, some heavily scaled Great Lake fish to well over 40lb and a few Common carp thrown in for good measure. 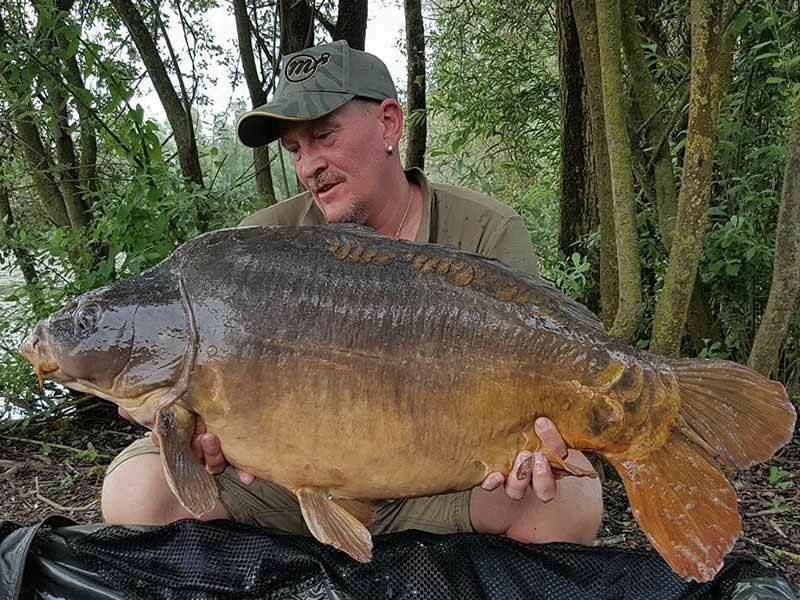 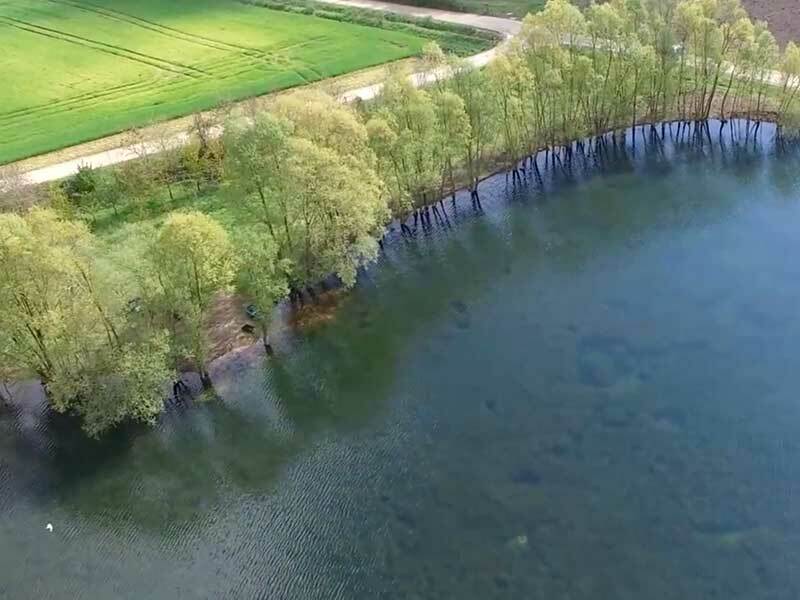 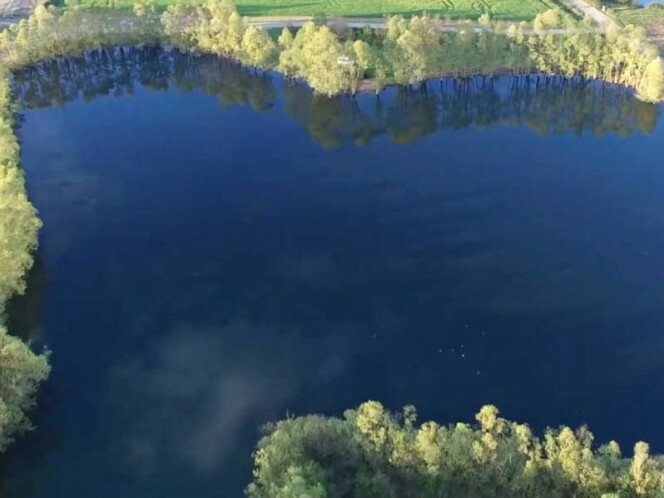 The lake contains over 300 carp up to 56lb and contains an incredible amount of 30lb fish which are dark “traditional” English looking fish due to the clarity of the water. 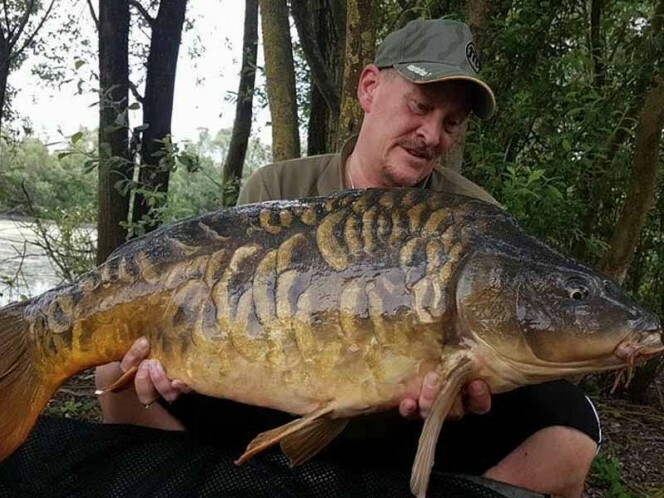 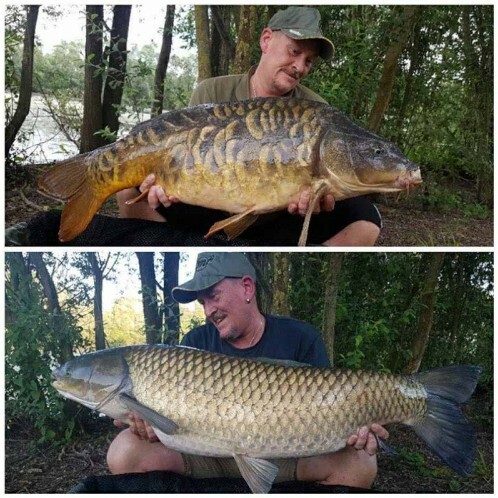 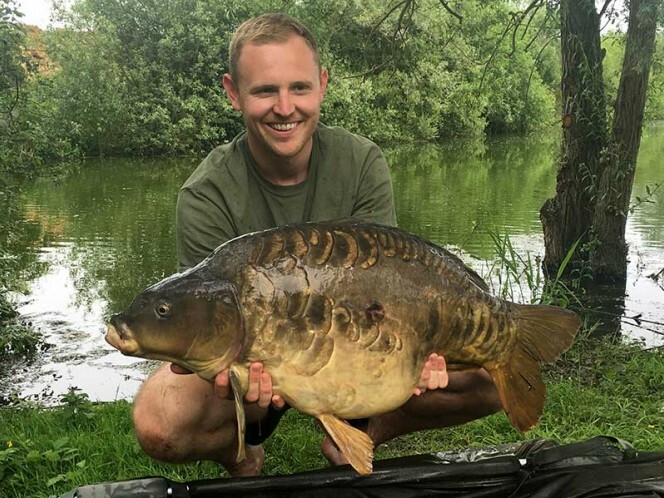 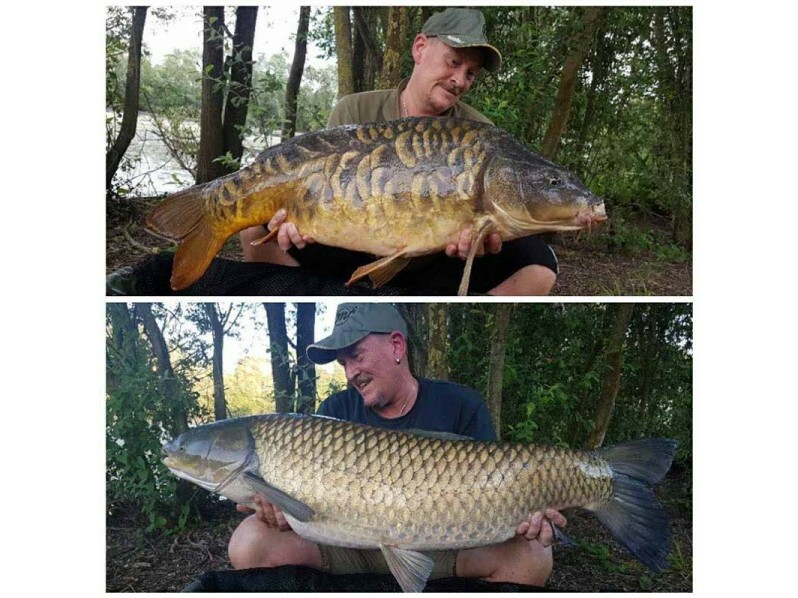 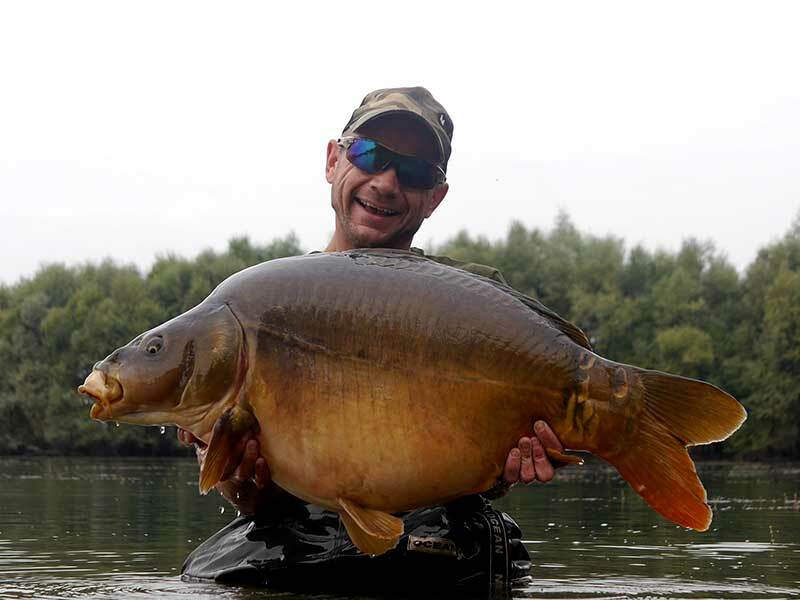 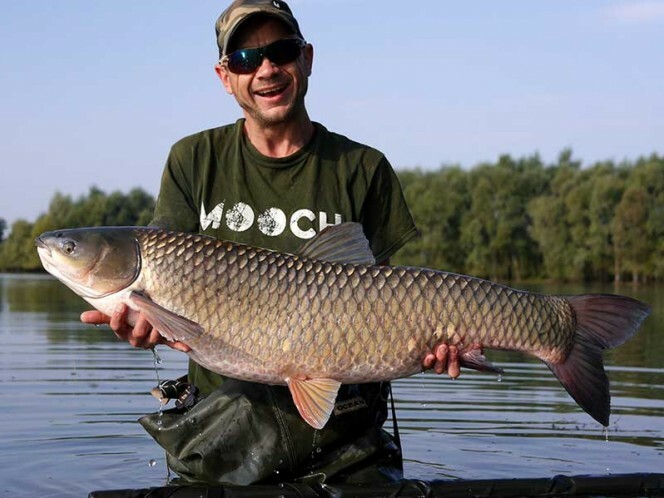 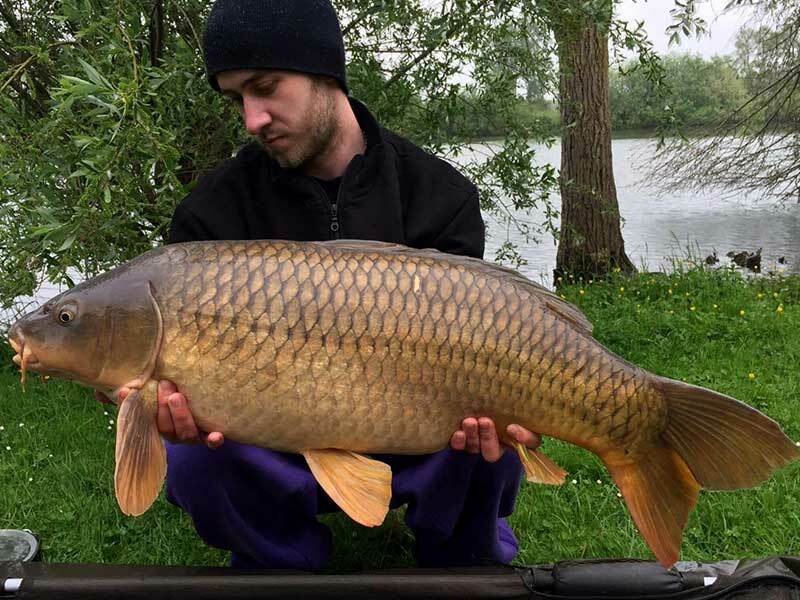 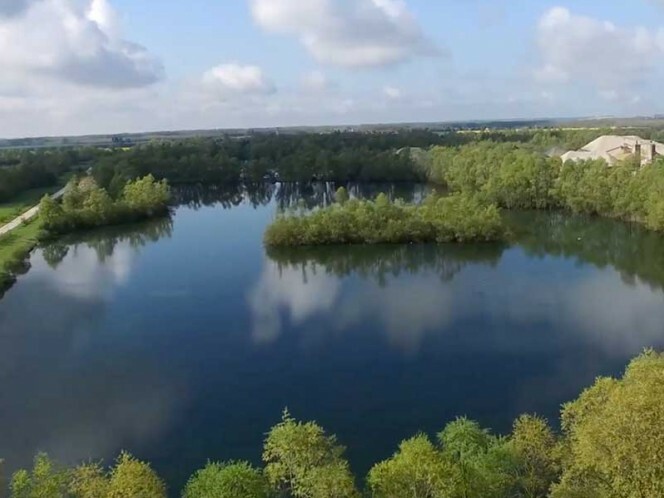 The lake caters for up to 6 anglers on an exclusive booking basis only and has seen anglers continually returning to this venue over the years for it’s stunning looking carp. 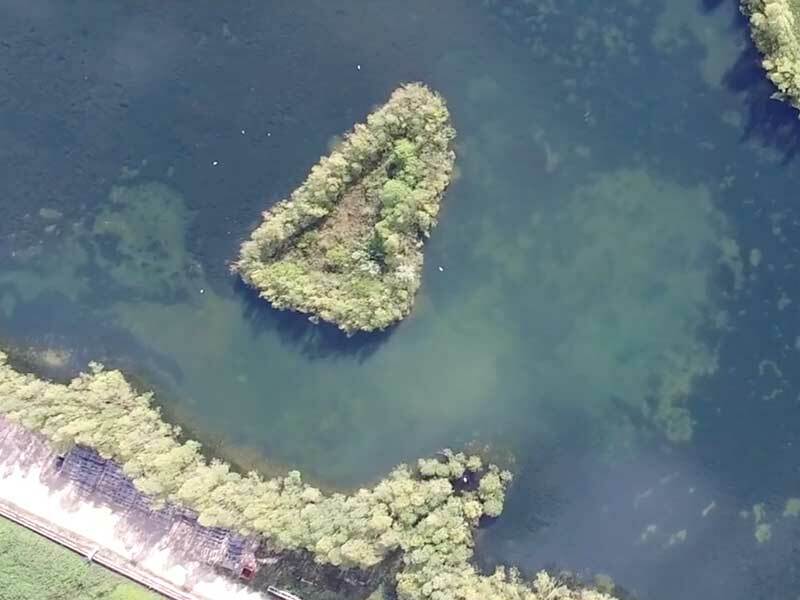 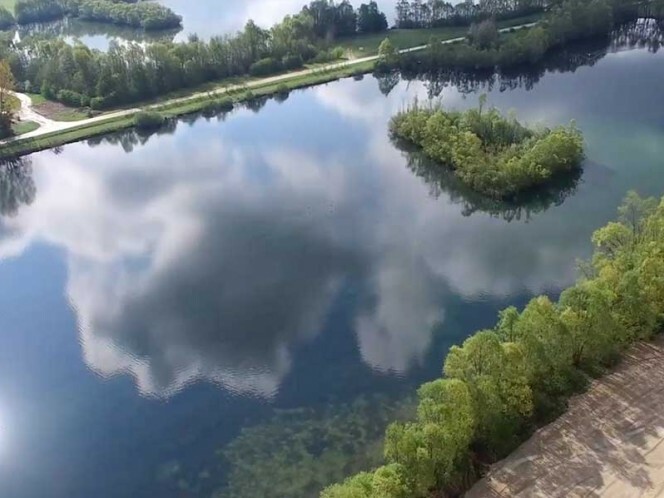 The lake has a central island which gives anglers a diversity of features to fish to, from marginal shelves from the side of the island right up to a shallow area less than 3 feet deep. 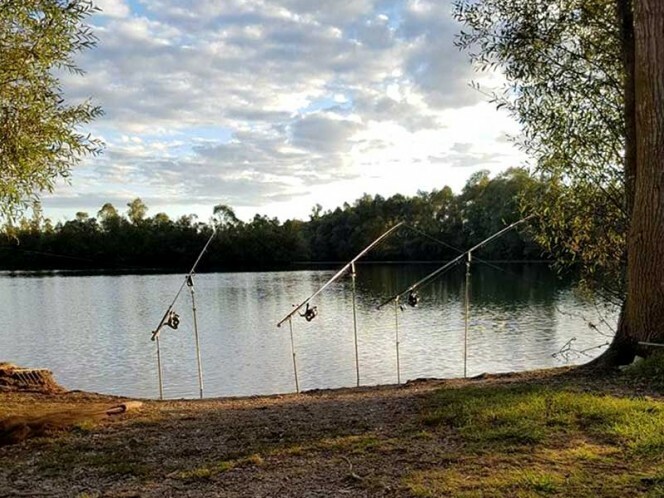 the lake contains gravel bars, gullies, silt areas and weed beds which give the carp plenty of areas to visit and feed. 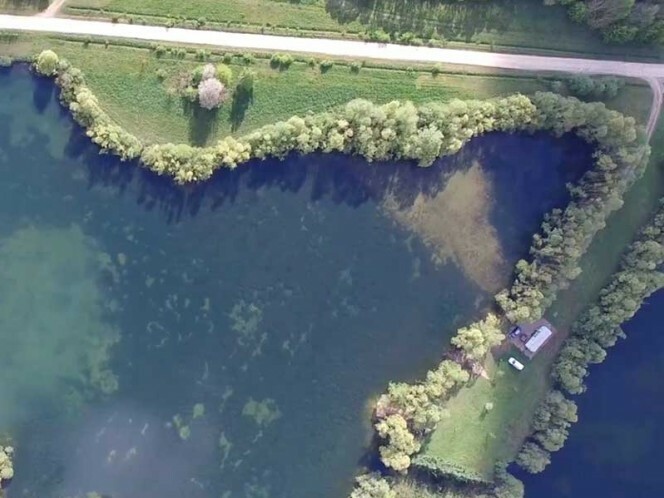 The lake is also a stalking paradise with an ample amount of place to tuck yourself away watching your target fish take the bait right under your nose. 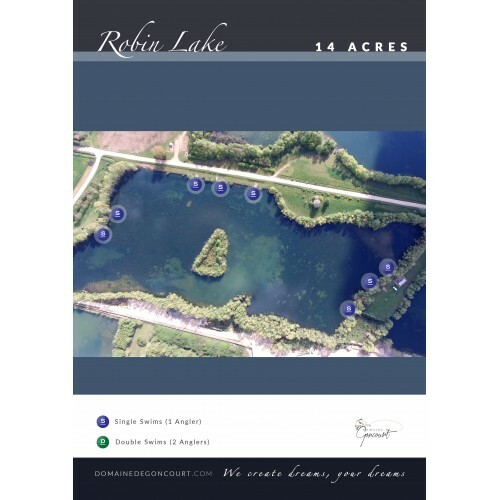 The lake has 6 swims, 2 swims at each end of the lake and 2 located centrally. 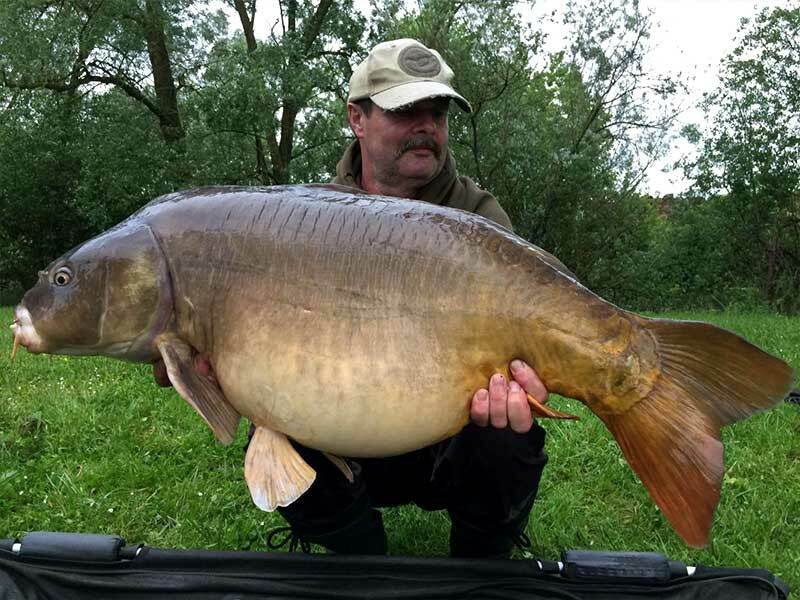 Robin Lake also contains Koi Carp to 34lb, Grass carp to 50lb plus and pike to 30lb plus. 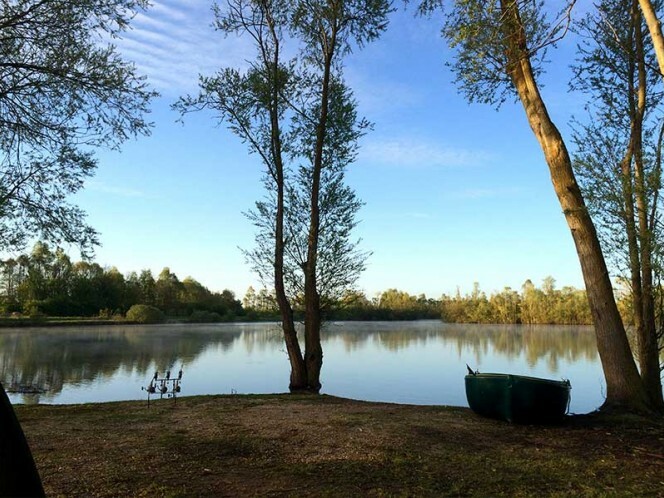 At one end of the lake you will find a 4 birth mobile home which has all the “mod cons” fitted for your use over the week of your stay. 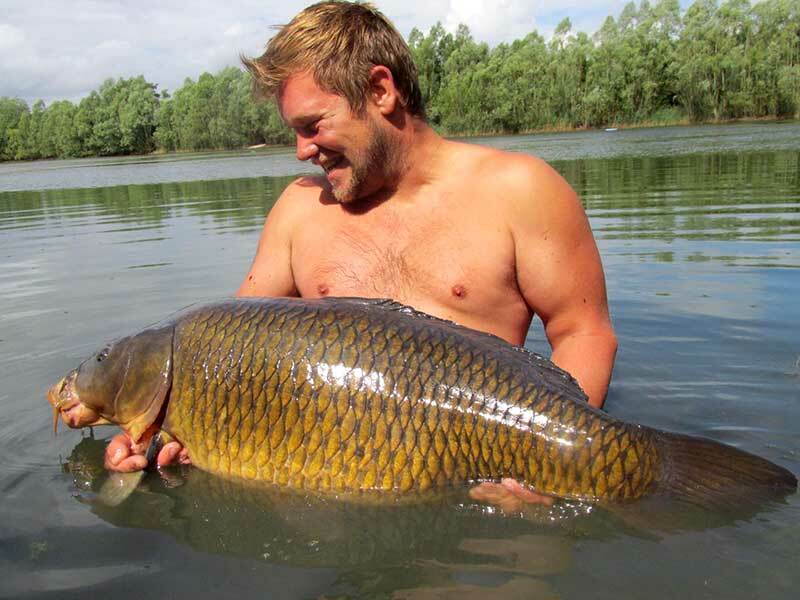 Customers are asked to bring their own bed linen and towels as these are not supplied. 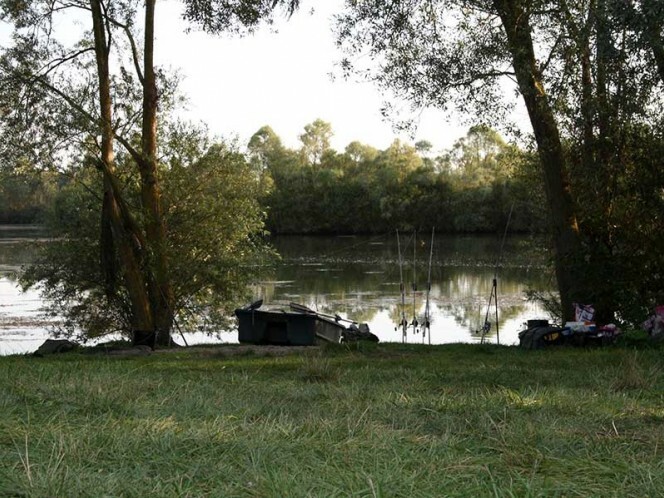 The duvets and pillows are supplied by Domaine De Goncourt for your use. Outside you will find a wooden table and chairs for your social evenings while watching the incredible sunsets over the lake. The use of boats are permitted but you must use a life jacket at all times when using a boat. Bait boats are also allowed on this water.